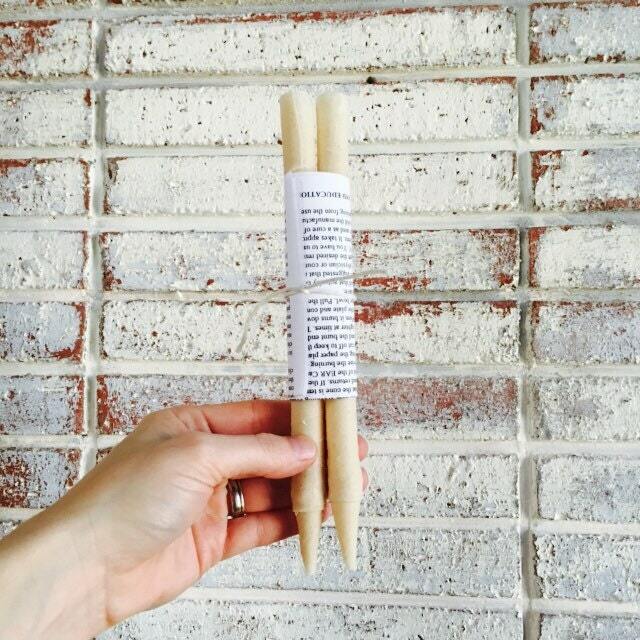 A pair of 100% Beeswax Ear Candles. Use to remove excess ear wax, dirt, pathogens, fluid buildup from ears. Relieves discomfort from mild earaches. Safe for all ages but please use properly and follow all instructions. Not recommended for folks with ruptured ear drums, severe ear infections or ear tubes. Also use caution if there is any sort of inflammation inside or around the ear. Listing is for two ear candles. Includes paper instructions. *Note the fabric that the candles are made of has been changed from the natural color shown in the photos to a white fabric. Everything else is the same. Wholesale customers please note, you will be ordering 10 sets of ear candles consisting of two ear candles & instructions per set. >>>>Please note that all information, content and product descriptions contained within my shop are for reference purposes and are not intended to diagnose, treat, cure, or prevent any disease. Contact your healthcare provider if you are pregnant or nursing, taking prescription drugs, or have any other concerns. Information and statements regarding my products have not been evaluated by the FDA. Worked well, came with detailed instructions and super fast shipping! These arrived quickly and well packaged. The instructions were clear and easy to follow. I would definitely recommend this shop. Well made and shipped fast. Thank you.